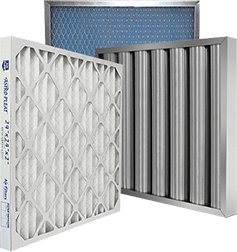 DOP 95% Mini-Pleat Filters | Air Filters, Inc. Squeeze maximal filtration into a 1-inch, 2-inch, 4-inch, or 12-inch filter rack with Air Filters, Inc™ SuperFlo Max™ DOP Mini Pleat filter. At five times the media area compared to a standard pleated panel filter, Mini Pleats have a longer service period and offer higher efficiency. Various Mini Pleat applications include: hospitals, health care facilities, food processing, educational institutions, micro processor manufacturing, and much more.